Dogs can be an integral part of your family and bring joy to your life. Owning a dog can teach your children about caring, showing empathy and taking responsibility. When considering adding a furry friend to your family, please remember two things: 1) adopt, don’t shop. Many incredible, smart dogs were abandoned and waiting for you in shelters. Dogs aren’t products you buy – they’re family members you raise! 2) There’s no such thing as a bad dog, there’s only bad training – any dog that is taught to be ferocious, aggressive and violent – will turn out that way, no matter what kind of breed it is. Dogs need all the love, and attention humans do, and with the right steps, you’ll be able to take in any canine friend and make it a part of your family. Here are our picks for top dog breeds that are kid-friendly. Labradors, just like tiny humans, need a ton of exercise. 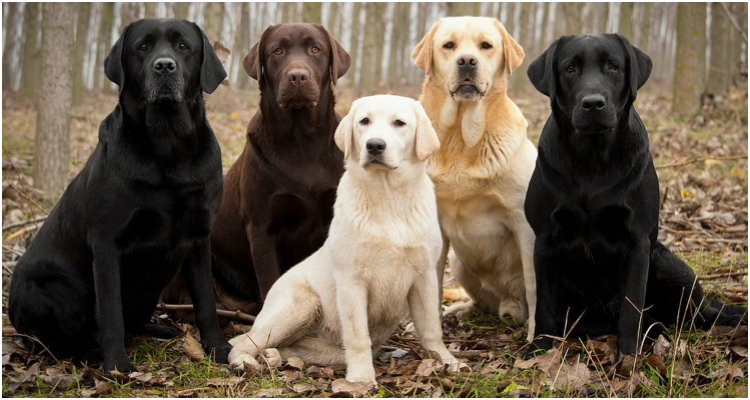 If you live in a house, Labrador Retrievers can be the perfect dog to raise alongside children because both kids and Labs need a lot of activity and attention. Having a Labrador as a puppy means that your kids can take the dog on long walks and run around to tire each other out. This gets both out of the house and teaches them responsibility. 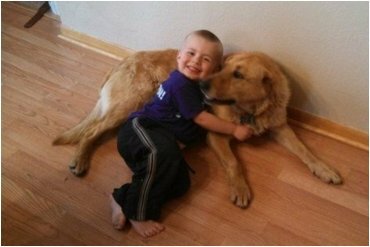 Labs are calm and friendly and are happy to be around kids, which means they are the perfect companions to grow up with. They are also generally easy to train because they love eating and receiving treats. Get ready to forget every negative stigma you might have about Pit bulls. 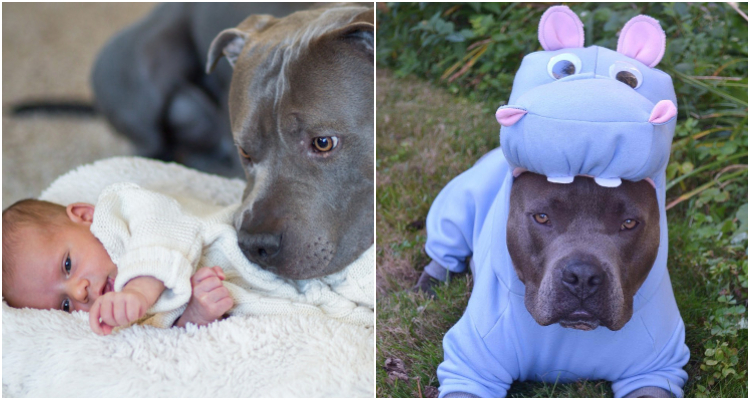 Despite their reputation and name, Pit bulls are sweet dogs who love humans. They’re loyal, they’re gentle with babies, and they’re also extremely friendly towards any other canines living in your house. 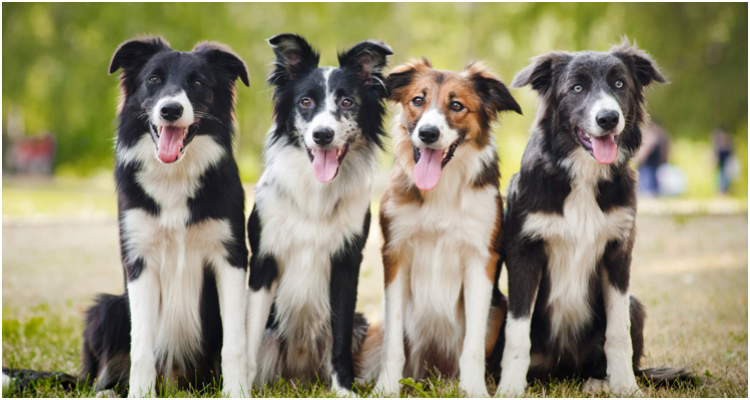 The Collie family – Border Collies, Australian Shepherds, Shetland Sheepdogs, etc. – are some of the smartest dogs breeds around. 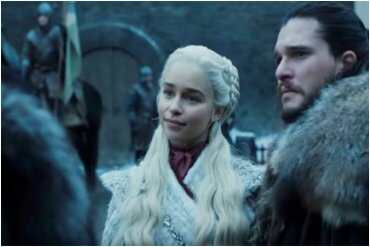 They’re easy to train (with the right trainer and lots of love); they’re energetic, predictable, loyal, friendly, gentle and protective of your baby. Just remember that these dogs have plenty of energy and need to spend a lot of time exercising outdoors. Another in a long line of dog breeds with undeserved bad reputations. 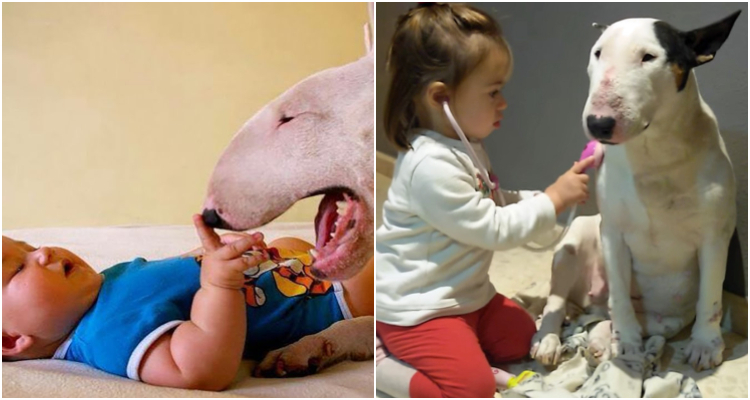 Bull Terriers are actually friendly and loving; they’ve got a high pain tolerance and patience, so curious and energetic children can learn properly how to treat dogs while you’ll be sure no harm will come to your baby. Keep in mind that Bull Terriers, like Collies, are super energetic, so if you’ve got young children and a yard – a Bull Terrier might be the perfect doggo for your family! 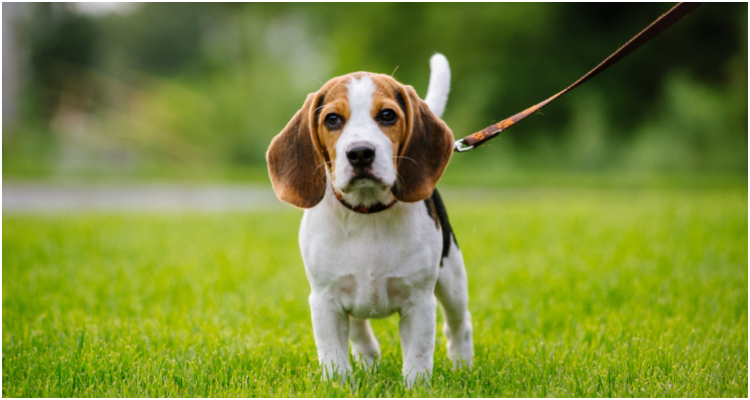 Beagles are small-sized dogs with a calm temperament and short fur – making them practically the ideal furbaby. They love exploring the outdoors – making them a great companion for a curious toddler – and are clever and patient enough to play with energetic children, much like Bull Terriers. Adopting any dog that suits your family and lifestyle can be an incredible addition. Families with children should also consider adopting older dogs – they can be more patient with children, and most of the time they are already well trained! Older dogs can also be less energetic and calmer with your babies. With the right training, love and caring, any canine from any of the dog breeds we’ve listed will be the perfect canine companion for your kids!